We have the pleasure to introduce to you two of our exhibiotrs at Save the Planet - the Austrian company EUROPLAST ?unststoffbehälterindustrie GmbH and Oeko-Service Luxembourg/ SuperDrecksKëscht®. We believe the interviews with Mr. Mario Guggenbichler and Mr. Boyan Svilenov will be interesting for you. 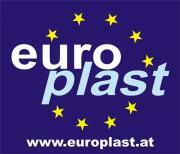 Europlast plastics industry GmbH was founded in 1995 as a subcompany of the Jcoplastic group Italy. Since 1997 plastic containers which are used in waste management, agriculture and industry are being produced. High density polyethylene (HDPE) is used exclusively as raw material. Europlast produces a wide range of polyethylene industrial containers and pallets, agricultural storage containers, and waste bins from 10lt up to 1700lt. Its portfolio is unique in Europe, enabling the company to enjoy highly successful development. Do you have some projects / business activity in Bulgaria? Our partner "DENEX Ltd" is selling our goods in Bulgaria. Do you intend to expand your market to the neighbouring countries of Bulgaria? We still try to find partner for other Еastern countries in Europe. What will you present at the 'Save the Planet' Exhibition and what are your expectations from your participation? We will show waste containers and boxes for storage - for batteries as example. What visitors would you like to make contact with? We want to get in contact with traders/dealers and waste management companies. SuperDrecksKëscht® (SDK ), which is the activity of the Government of Luxembourg regarding waste management programs, waste prevention and sustainability. The focus of our concepts is being put on waste prevention and resource efficiency, and a very important point in our activities is the separation of hazardous waste from private households in order to keep harmful substances out of the residual waste. Awareness-raising and constant information for the citizens are other key elements. SDK, as a holistic system, has been awarded with the "Best Practice" label of the European Commission. Contacts with some municipalities are existing. Do you intend to expand your market to the neighboring countries of Bulgaria? SDK's "Reverse-Consumption" Concept, which is structured like a mirror-image of the consumption oriented society. This concept combines benefits for the environment, benefits for health and safety of the citizens and benefits for the economy and in order to allow green growth and sustainable development, improving the efficiency of the material resources. National and municipal authorities in charge of waste management, waste prevention, public awareness and education programs regarding waste.